Durham Cathedral is a place of worship, welcome and hospitality, inspiring all who come. Voted the UK’s Number One Landmark by TripAdvisor users in 2016, and BBC Countryfile Magazine’s Heritage Site of the Year in 2017, the Cathedral is cherished for its magnificent Romanesque architecture and incomparable setting at the heart of a UNESCO World Heritage Site. It is famous as the Shrine of St Cuthbert and the resting place of the Venerable Bede. There are regular guided tours and self-guided tour leaflets are available. The Cathedral’s North-West Tower is open on Fridays and Saturdays, allowing fantastic views of Durham City and the surrounding landscape, and the Claustral buildings are the most complete set of monastic buildings remaining in England. 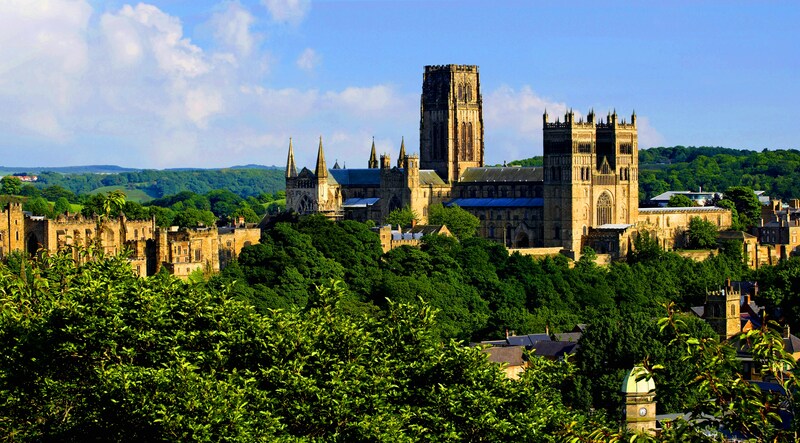 Durham Cathedral sits high on the Durham City peninsula and can be reached via the city centre or from many of the woodland footpaths and walks along the riverbanks of the River Wear. General admission is free, but donations are always welcome. Admission applies to the North-West Tower and there is a charge for guided tours.